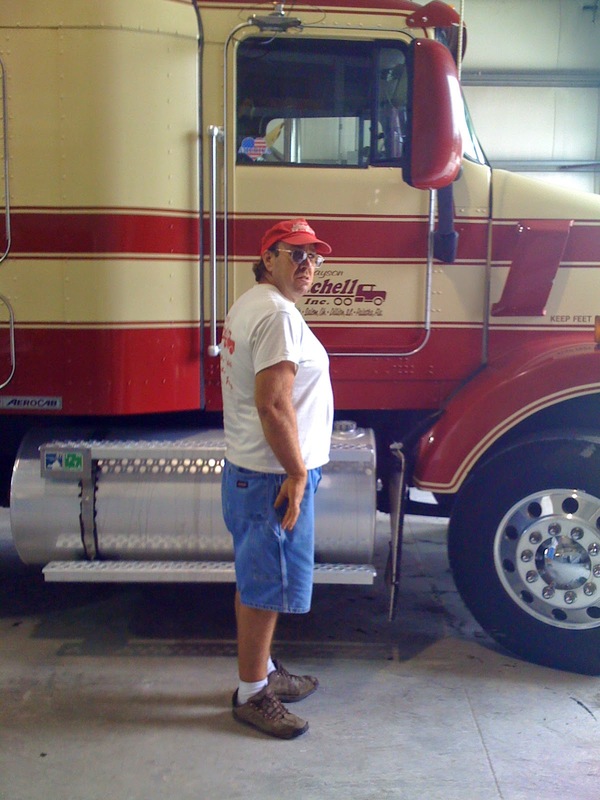 Bulldog Hiway Express Driver Demonstrates Less is More - 88 Pounds Less To Be Exact! - Daseke Inc.
You are here: Home › News › Bulldog Hiway Express › Bulldog Hiway Express Driver Demonstrates Less is More – 88 Pounds Less To Be Exact! When James Houston saw his mother-in-law during a visit to her hospital room, her jaw hit the floor. James was nearly 100 pounds lighter than when she saw him last. 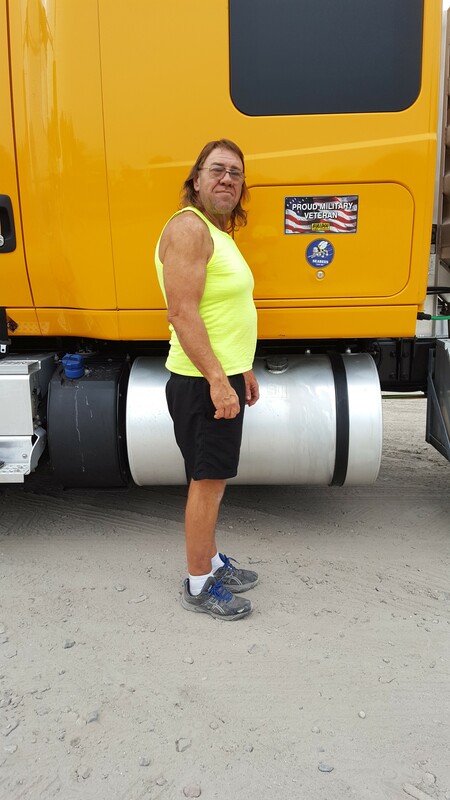 “For me that kind of reaction is the real motivation when I’m losing weight,” the Bulldog Hiway Express, a Daseke company, driver says of the visit he paid to his mother-in-law, now deceased, when he was well along the way to eventually losing 225 pounds. June 2007: When James Houston married his wife, Shirley, on June 27, 2007, he weighed in at 425 pounds. By 2010, James had lost 225 pounds and went from a size 52-inch waist to a 36–inch waist. Unfortunately, all that weight James lost eight years earlier didn’t stay off. 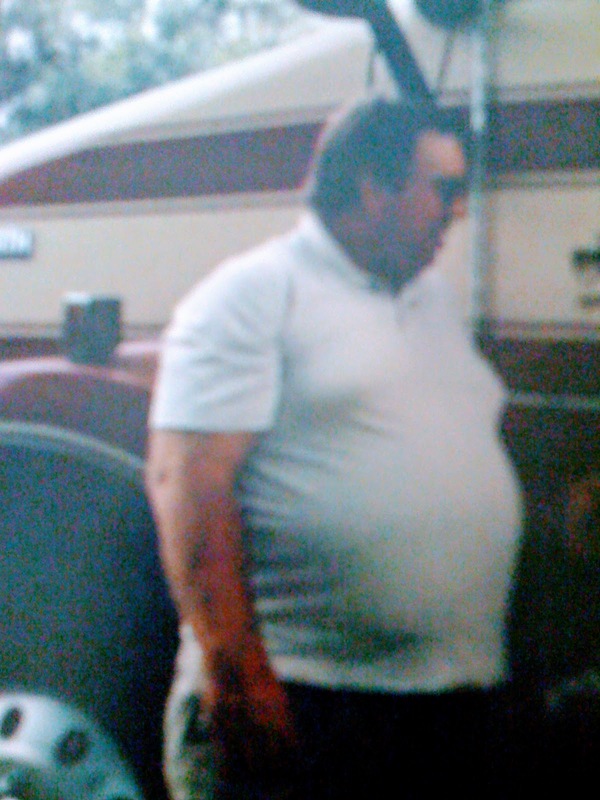 Subsequent medical issues robbed him of energy and caused him to regain nearly 100 pounds. Still, James was determined to shed that weight again. With the help and encouragement of friends and family, plus co-workers and management at Bulldog Hiway Express, and under the care of his physician, James eventually lost 88 pounds. November 2008: This photo was taken when James was closing in on his goal weight of 190 to 200 pounds. During that second round of weight loss from July 2014 to early 2017, James competed in a nationwide weight loss contest and lost more than 15 pounds during the six-month challenge. 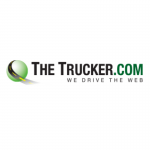 For that weight loss,James received the grand prize award in one of two divisions of the St. Christopher Truckers Development and Relief Fund (SCF) “Driven to Be Healthy Challenge.” During the contest, which kicked off at the 2016 Great American Trucking Show in Dallas in late August, James achieved the highest percentage of weight loss, losing more than 7 percent of his body weight. 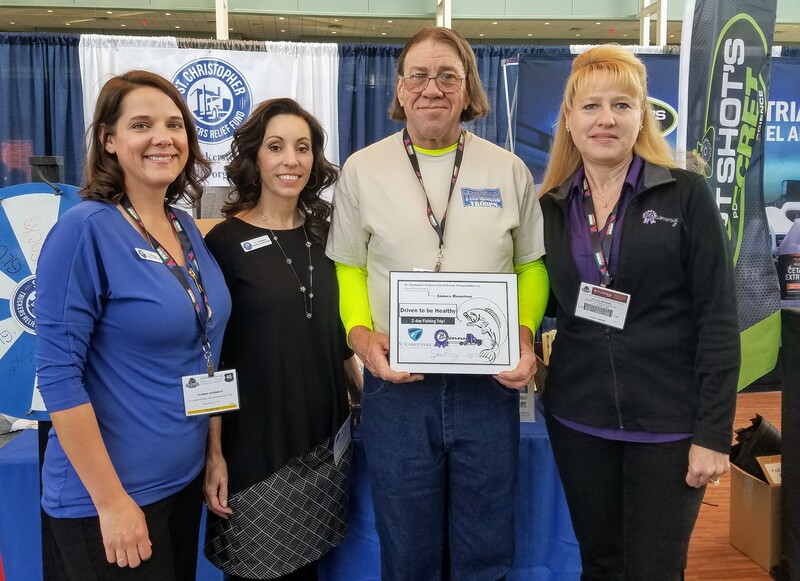 During the 2017 Mid-America Trucking Show [#2017MATS] in Louisville, Kentucky, James was honored with one of the challenge’s two top awards. (James’ fellow award winner James Peters couldn’t attend.) And like the look he received from his mother-in-law years earlier, the award meant the world to the 17-year truck driver, who has been with Bulldog since 2010. 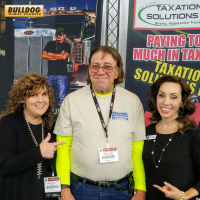 The St. Christopher Truckers Development and Relief Fund (SCF) recognizes James Houston’s accomplishment in losing the highest percentage of body weight in its Driven to Be Healthy Challenge at the 2017 Mid-America Trucking Show in Louisville, Kentucky. From left to right are Donna Kennedy, SCF executive director; Julie Dillon, SCF communications and wellness manager; James Houston, SCF Driven to Be Healthy Challenge awardee; and Joyce Brenny, SCF vice president and owner of Brenny Transportation, a sponsor of the Driven to Be Healthy Challenge. James says the personal call he received from Don Daseke, founder, president and CEO of Daseke, congratulating him also meant a great deal. 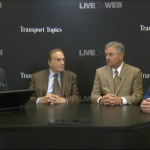 Don says James offers his fellow drivers a great deal of inspiration. “His proactive, no-excuses approach of prioritizing his health, consulting with his physician and taking control of his dietary choices offers all of us a great example to follow,” Don adds. James says he knows just how important inspiration is when losing weight, which is why he works hard at inspiring others. Over the past decade, James has been a regular call-in guest to several satellite and broadcast radio programs, including the Dave Nemo Show, 650 AM WSM’s The All Nighter with Marcia Campbell and America’s Truckin’ Network with Steve Sommers, to encourage healthier eating habits. He also appeared on the shows while they were broadcasting live from the floor of the MATS show. 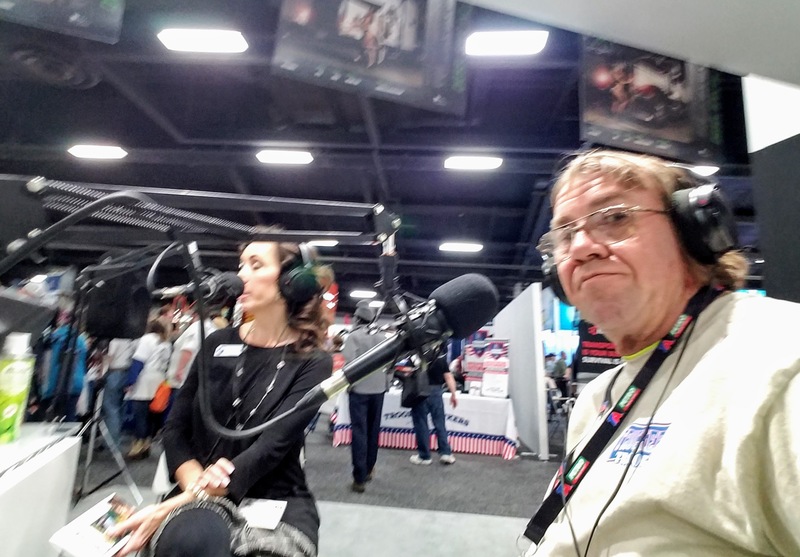 James takes a selfie as he and Julie Dillon, St. Christopher Truckers Development and Relief Fund’s communications and wellness manager, are interviewed on the Hillbilly Express Radio Show during the 2017 Mid-America Trucking Show in Louisville, Kentucky. James says he’s learned from experience that the biggest mistake people make when dieting is not eating enough of the right foods at the right times to maintain a healthy metabolism. Regular exercise is also very important, he says. And being one who practices what he preaches, James chose a paid trip to Fort Mountain State Park near the Cohutta Wilderness in northern Georgia as his challenge award prize. By choosing the Fort Mountain State Park visit, James can bring his entire family. On November 9, James weighs in at 205.8 pounds for a total loss of just over 75 pounds since he began the company’s wellness program in July of 2014. At the heart of James Houston’s Dogman Diet lies carefully thought-out meals, well-timed eating habits and regular exercise. For his mandatory rest periods, he tries to choose well-lit rest areas as places to stop where he can walk and exercise safely. 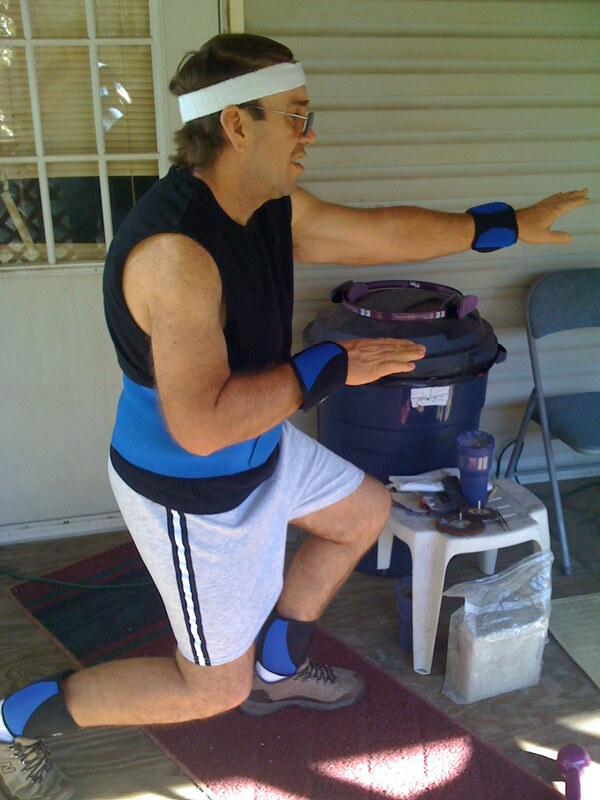 James uses wrist and ankle weights in an effort to maintain and improve strength. James says during his weight loss he had to include strength training to maintain muscle mass. James eats three meals a day, each timed about five hours apart. He chooses things like carrots, French-style green beans and whole-grain cereals. He also controls portions so that all three meals offer a combined total of no more than 1,800 to 2,000 calories. While it can be difficult to want to eat healthier foods, James says it doesn’t take long for your taste buds to become accustomed to eating vegetables instead of french fries and drinking low-calorie sodas and other no-sugar beverages instead of the sugared drinks. 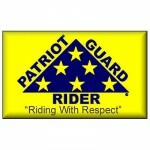 Although he acknowledges that for many drivers finding healthy food while they’re on their 14-hour duty clocks, and locating safe places to park overnight where they can walk during their mandatory rest breaks, can be challenging. “One of the biggest obstacles drivers have to losing weight is having the time to get or make healthier meals,” he says. “When drivers are in a rush to get back on the road, they almost always go for those fast food choices you can get in five minutes or less. But if you stop and think about it, a large Big Mac meal can be over 1,300 calories!